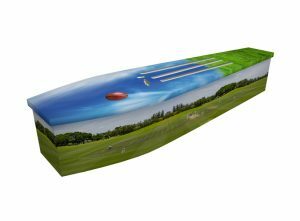 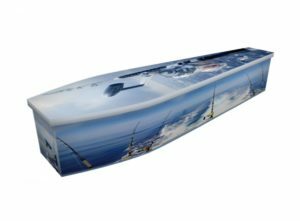 We can create a beautiful wooden coffin printed with a design that encapsulates your loved one’s favourite hobby or pastime. 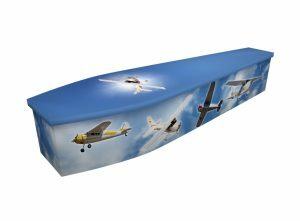 These hobby based coffins often emphasise the irreverent or fun-loving side of the deceased, helping mourners to remember what made them happiest. 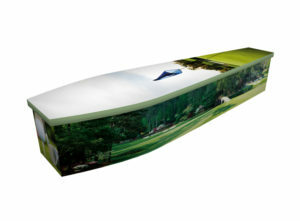 They are made by printing the chosen design directly onto the wood – rather than using an outdated technique of wrapping printed vinyl around the coffin. 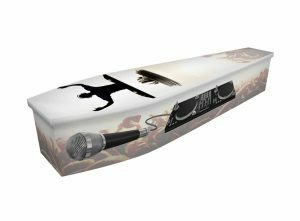 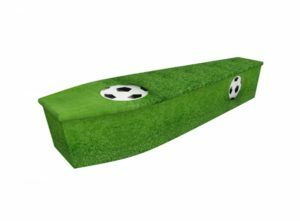 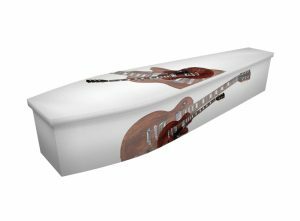 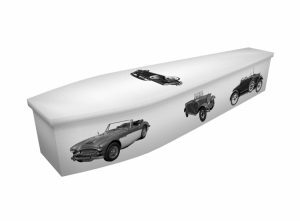 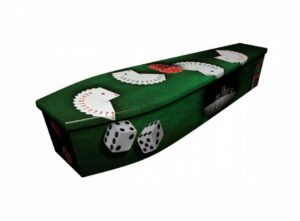 Jonny, and our team of in-house designers, have received all manner of requests for hobby- or pastime-based coffins, from car and beer coffins to wine coffins. Sport also plays a huge role in many people’s lives, so it’s understandable that sport-themed designs are often requested. 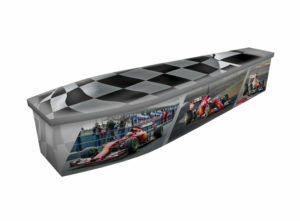 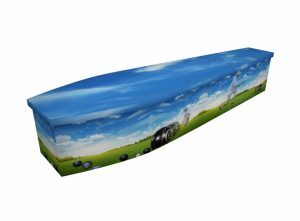 We can create anything from football coffins to golf coffins, horse racing to gone fishing coffins. 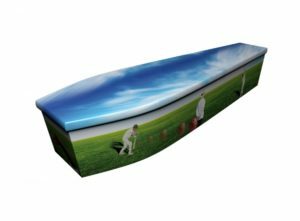 Whatever you have in mind, simply contact us today and our talented design team will set about creating a visual proof within 24 hours. 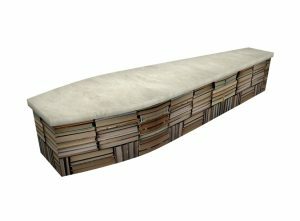 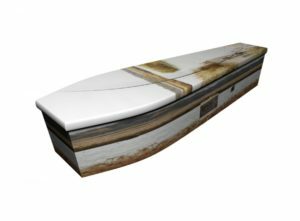 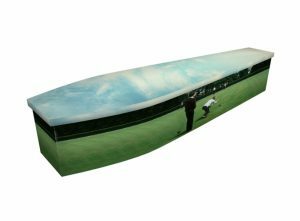 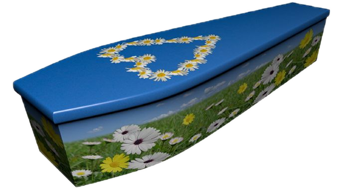 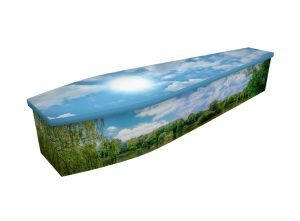 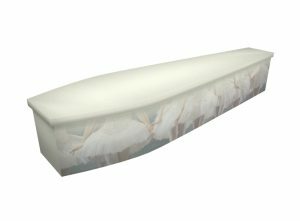 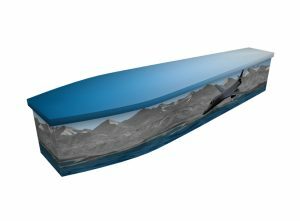 If you’re happy with the design, we can deliver the completed coffin within 72 hours.